The Year 12 Society and Culture class of 2018 started work this week on their major work for the course, the Personal Interest Projects (PIP). 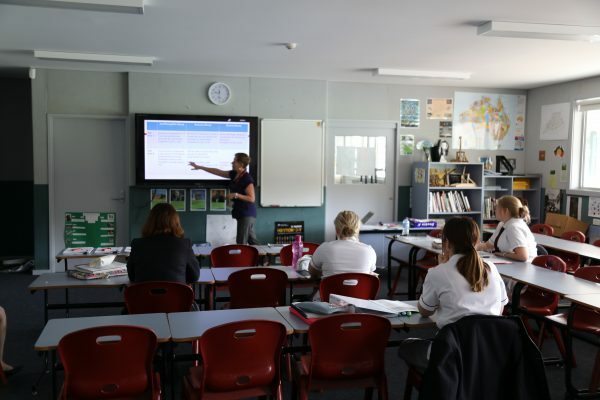 Students participated in a “PIP Choices Day” which involved a visit from the Senior Lecturer of Psychology at Charles Sturt University who spoke to the students about ethical research and data collection. Some past students also visited to speak about their PIPs and provide worthwhile advice on how to stay on top of the major project. To complete the day, students workshopped their PIP ideas to ensure they met the course requirements. Students will work on these major works for the next few months and will need to begin completing Primary research such as questionnaires, interviews and focus groups. They are very excited to begin working on their ideas and seeing them come to fruition!